Burial of the 1st Class graduate who died at Kano State NYSC camp, due to negligence. Ifedolapo Oladepo, a First Class graduate of Transport Management from the Ladoke Akintola university of Technology, Ogbomoso, was yesterday buried in Osogbo, Osun State. 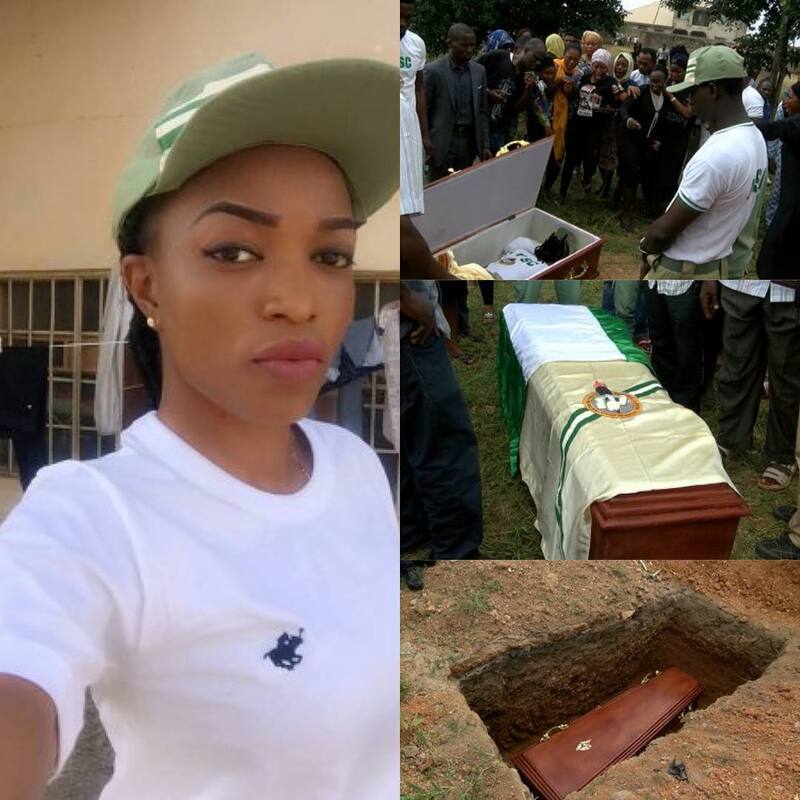 She died on Tuesday at the NYSC orientation camp in Kano state, after officials allegedly dismissed her sickness claim as mere pretence to avoid parade. In memory's garden we meet every fall. God called a little child unto him.Until the day breaks and the shadows flee away. Earth has one gentle soul less,And Heaven one angel more. Deep in our hearts a memory is kept,Of one we loved and shall never forget. God will link the broken chain,As one by one we meet again. In our hearts he will always stay,Loved and remembered every day. Their life a beautiful memory,Their absence a silent grief. God bless you and keep you in His care,Until we meet again. You fell asleep without goodbye,But memories of you will never die. Time may pass and fade away,But memories of you will always stay. In God’s care you rest above,In our hearts you rest with love. Words are few, thoughts are deep,Memories of you we will always keep. Happy memories silently kept,No need for words, we’ll never forget. Simple words but very true,We’ll always love and remember you. A cluster of memories sprinkled with tears,Wishing God had spared you a few more years. Tenderly we treasure the past,With memories that will always last. Partings come and hearts are broken,Loved ones go with words unspoken. Never selfish, always loving and kind,These are memories you leave behind. Ours is just a simple prayer,God bless and keep you in His care. LAUTECH will never forget you dolapo, rest in peace as God forgive your short comings.